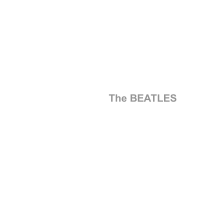 Ah, the White Album. So white, so albummy, and so…variable. The high point of the Beatles’ creativity, the best album they ever made, the beginning of the years of misery, the worst time they had in the studio, and containing some of their worst ever songs. George Martin is often quoted as saying the band should have released this as a single album, and Ringo Starr chimed in with the notion that two seperate albums would have been the go. Perhaps they could have been called The White Album and The Shite Album, with “Don’t Pass My By” as side 1, track 1 on the second LP. God, that is a truly awful song. As far as I know, neither Martin or Starr actually specified which tracks should have been included on the ‘good’ single album, but if you look at the track listing it isn’t hard to work something out, and most sane people will only vary in a few choices. Here’s my version of the album as a single LP, containing 15 songs, exactly half the total number. I’m with you except for Piggies, which is a shite song. Sorry, there is no way around it. Glass Onion or Julia would be a better contender. I’m tempted to advocate for Bungalow Bill because of the back story (they were making fun of an American actor who was in India with them who would leave meditations to go shoot tigers), but really it should have been a B side, if that. If you inclde Bungalow Bill then why not Rocky Racoon? Both of those are better off on ‘the Shite Album’, or ‘The Beatles Whacky Kiddies Christmas Funtime Record’ or whatever they would have caalled it. I agree Glass Onion is a possibility. I like the production but it is kind of a lame song. I got pissy when I read this and went back and listened to Julia. I retract previous claim. However, I stand by Glass Onion. There is some nice complexity going on there. Finally, my point was that the only redeeming value Bungalow Bill has is its back story. As I said, it was B side material, at best. If I hear another loser play Rocky Racoon on their acoustic guitar, I may have to kill them. After two votes to the negative, from folks who I respect, I am inclined to concede that ‘Piggies’ should probably be on the Shite Album instead. This leaves us with either a 14 track album, or ‘Glass Onion’, or possibly ‘Why Don’t We Do It In the Road’ as a joke entrant. Bearing in mind that Harrison is now down to 3. Do we want McCartney at 5, or Lennon at 7? And by this time Lennon was clearly writing better stuff than McCartney. How can you say such a thing about a man who went on to become the driving force in Wings?